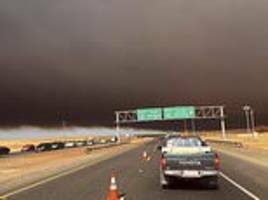 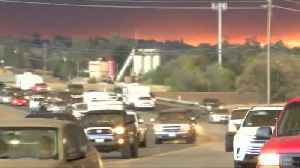 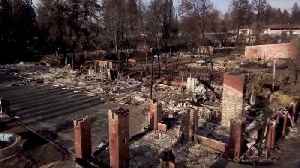 A state of emergency in Northern California has been declared because of a dangerous wildfire that has destroyed homes and forced thousands to flee. 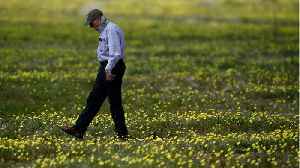 Following record winter rains, the hillsides and valleys along Interstate 15 have turned bright green and orange, drawing thousands of visitors to a wildflower "super bloom" beginning to take shape on.. 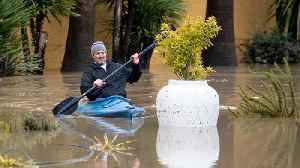 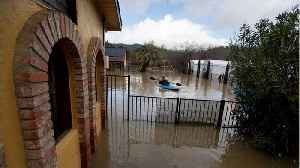 Heavy rainfall across northern California caused the Napa River to rise rapidly, leading to some road closures and flooded driveways in Napa County on February 27. 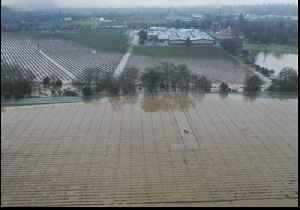 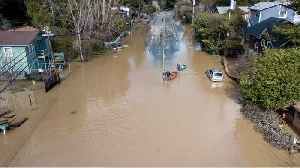 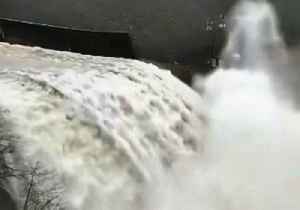 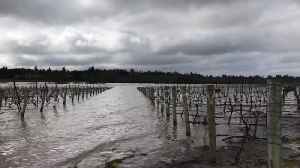 Craig Philpott used his drone to film..
Footage of a flooded vineyard in Sebastopol in Sonoma County Wednesday as the Russian River swells after storms in northern California, cutting off two towns and prompting evacuations.